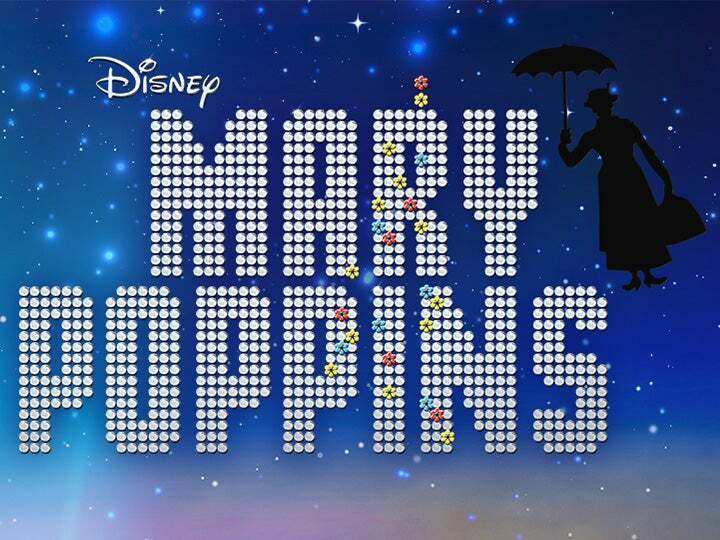 NEWARK, NJ—The New Jersey Symphony Orchestra presents Mary Poppins in Concert, April 12–14 in Red Bank, Newark and New Brunswick. The family-friendly symphonic cinema event features the five-time Oscar®-winning Disney film unfolding on the big screen with the NJSO performing the Sherman brothers’ award-winning musical score live. Performances take place on April 12 at 8 pm at the Count Basie Count Basie Center for the Arts in Red Bank, April 13 at 8 pm at NJPAC in Newark and April 14 at 3 pm at State Theatre New Jersey in New Brunswick. State Theatre New Jersey co-presents the April 14 performance. Released in 1964, Mary Poppins garnered 13 Academy Award nominations and won five Oscars, two of which the Sherman brothers received for “Chim Chim Cher-ee” and the film’s original musical score. In this classic Disney film, a magical English nanny, Mary Poppins, arrives at the home of Mr. and Mrs. George Banks, facing the park at No. 17 Cherry Tree Lane in London, to the delight of their young children, Jane and Michael. The proper English father is too preoccupied with his responsibility at the bank; the mother, an ardent suffragette, is not really aware that their two children, left in the care of one nanny after another, are unhappy and unable to communicate with the parents they truly love. Mary Poppins has come to change all this. She settles into the house, and soon has everyone wrapped around her little finger. Mary, along with her friend Bert and a host of chimney sweeps, teaches the children how to have fun, and in so doing makes the Banks household a happier place. By the time she opens her umbrella and flies off on a beautiful spring evening, the family is united together in the park, flying a kite. The film’s original motion picture soundtrack featured 14 original songs by now-legendary Disney songwriters and composers Richard and Robert Sherman. In 1965, the soundtrack was the number-one album on Billboard’s Top 200 Album chart for 14 consecutive weeks, maintaining the top position that year longer than the Beatles (Beatles’ 65, Beatles VI and the Help! soundtrack), Elvis Presley (Roustabout soundtrack), the Rolling Stones (Out of Our Heads) and The Sound of Music soundtrack. The soundtrack won two Grammy Awards (Best Original Score Written for a Motion Picture or Television Show and Best Recording for Children). Tickets start at $20 and are available from the NJSO online at njsymphony.org, by phone at 1.800.ALLEGRO (255.3476) or in person at the NJSO Patron Services office. Tickets for the April 14 performance are also available from State Theatre New Jersey online at STNJ.org, by phone at 732.246.SHOW (7469) or in person at the State Theatre Guest Services office. Free NJSO Accent events include singalongs one hour before the April 12 and April 14 performances. For more information, visit njsymphony.org/marypoppins. The NJSO’s annual Spring into Music Gala at NJPAC includes the April 13 performance, plus pre-concert cocktails, dinner and a silent auction. For more information, visit njsymphony.org/springintomusic. Step in time, it’s one heart-tugging, toe-tapping song after another in the beloved film Mary Poppins! This family-friendly, symphonic cinema event features the five-time Oscar-winning Disney film unfolding on the big screen with the NJSO performing the charming and delightful musical score. Don’t miss this Supercalifragilisticexpialidocious wonder live with the NJSO! Presentation licensed by Disney Concerts © Disney All rights reserved. Apr 14 performance presented in collaboration with State Theatre New Jersey. Disney Concerts is the concert production and licensing division of Disney Music Group, the music arm of The Walt Disney Company. Disney Concerts produces concerts and tours and licenses Disney music and visual content to symphony orchestras and presenters on a worldwide basis. Disney Concerts’ concert packages include a variety of formats, such as “live to picture” film concerts and themed instrumental and vocal compilation concerts; they range from instrumental-only symphonic performances to multimedia productions featuring live vocalists and choir. Current titles include the Star Wars Film Concert Series (Episodes IV–VII), Beauty and the Beast, The Little Mermaid, Fantasia, Pixar In Concert, The Nightmare Before Christmas, Alice In Wonderland, Frozen, Ratatouille, The Pirates of the Caribbean series (Episodes I–IV) and Silly Symphonies, which last year collectively accounted for more than 400 performances in many of the world’s top concert venues, including Lincoln Center, Royal Albert Hall, Sydney Opera House, Tokyo Forum and the Hollywood Bowl. Numerous new concert packages and touring productions from Disney’s portfolio of studios, including Disney’s feature animation and live action studios, Pixar, Lucasfilm and Marvel, are currently in development. For more information, visit njsymphony.org or email [email protected]. The State Theatre New Jersey Guest Services office is located at 15 Livingston Ave in New Brunswick. Hours are Monday—Friday, 10 am–6 pm, and at least three hours prior to curtain on performance dates unless otherwise specified. For more information, visit STNJ.org.